Dry fly fishing for Atlantic salmon is an experience for all your senses: you can see the reactions of the fish, often hear the take and feel the tell-tale pull of a fish after a successful strike. By following a simple theory you can create tactics for different situations to maximize your chances of success. If you never fished for Steelhead, then don’t start! It will change you forever and most likely consume all your time and money. But to me it’s all worth it, if only for that moment. That moment you feel the grab… that is truly priceless. Big flies – big fish…or? Which flies catch the biggest salmon? Are certain flies better for big fish than some others? We have checked hundreds of salmon weighing more than 20 kg and which flies were used to catch them! For a lot of salmon fishermen Iceland is at the top of their wish list. Nico de Boer has made several Icelandic Salmon Safaris but never fished the East and West Ranga, the most productive ones. This time the Rangas were his goal. Recession in Trondheim rivers are worsening, Gyro setback, Lærdal shines as do eastern Finmark. You don´t find taking spots everywhere in a salmon river so check details carefully. A fast stream with white waves on the surface might not look like much at first glance but can produce surprising results. 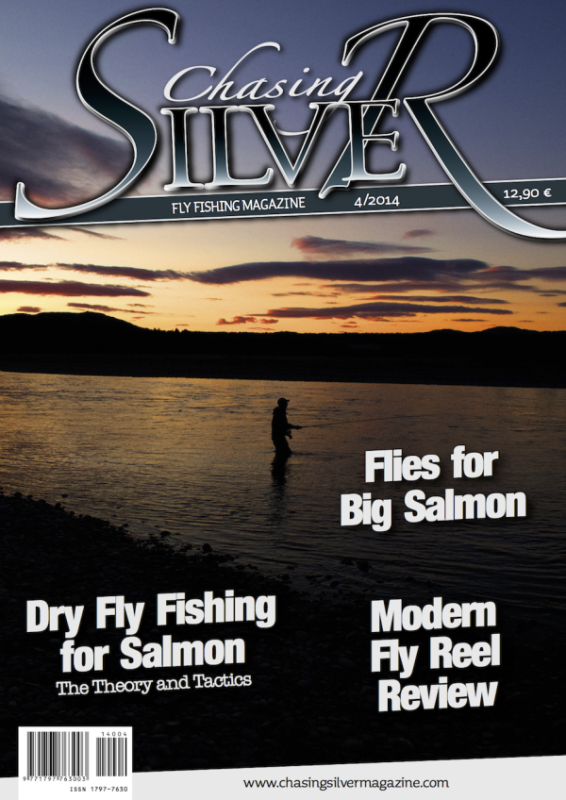 Chasing Silver Sub Editor Ross Macdonald shares some of the background and history of a distinctly Scottish fly style. We tested 21 new reels for salmon fishing in classes 7 to 9. This is part one of the test covering reels in category “over 400€”. The second part of the test will be published in the next issue of Chasing Silver.